Feel the fresh alpine air and enjoy the picture perfect scenery of Julian Alps – join us on unforgettable VIA FERRATA, HIKING, TREKKING or MOUNTAINEERING TRIP! Slovenia is the ideal hiking destination – country’s mountainous and diverse landscape offers unlimited hiking and trekking options. 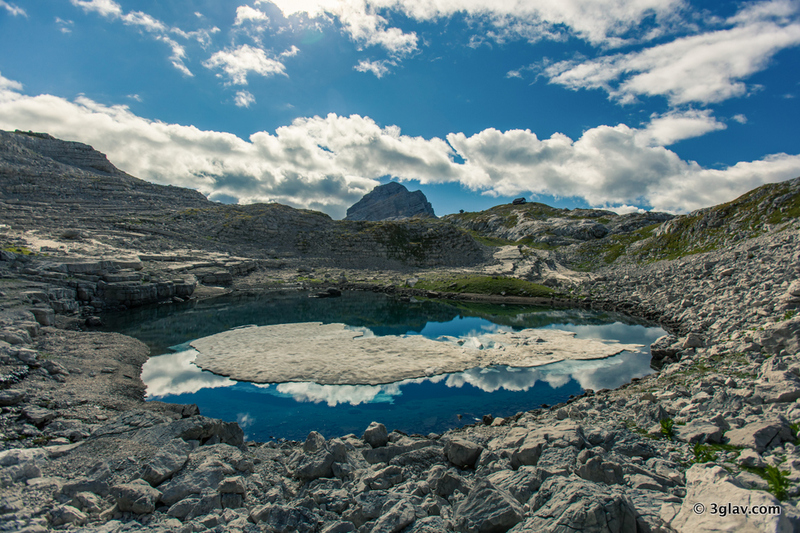 Whether you would like to experience long distance trail or just head out for a short hike, Slovenian only national park – Triglav National Park welcomes you! 1/2 DAY VIA FERRATA – Experience Aljaževa route, which is a relatively easy via ferrata (grade B) in Mojstrana, a small alpine village at the entrance of Triglav’s National Park. It’s 180 mts high and 250 mts long. Due to low level of difficulty, we especially recommend it for those who are making their first steps on the rocky world. From the top of our via ferret trail -Grančišče hill – you’ll enjoy amazing views of magnificent Julian Alps and Karavanke mountain ranges. The duration of the activity will be between 1,5 to 2,5 hours. Helmet, harness and via ferrata set are included. 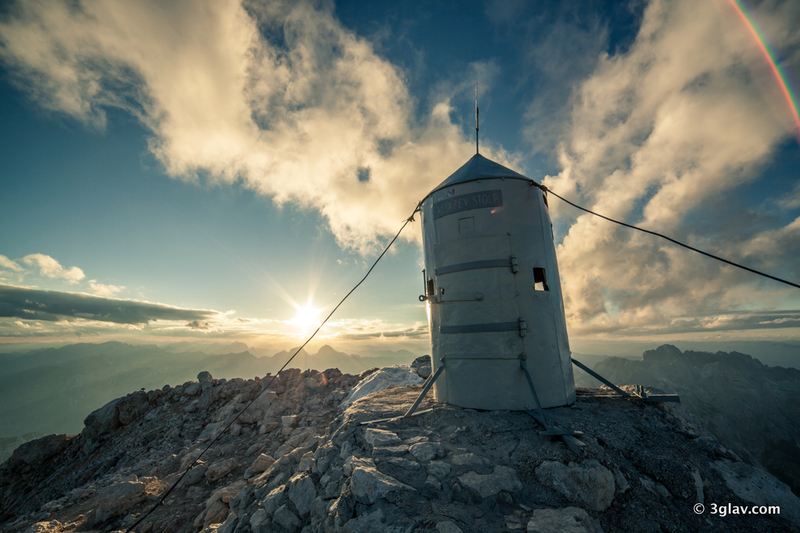 3 DAYS HUT-TO-HUT HIKING TRIP – Join us on this amazing 3-day hike in the heart of the Julian Alps. Technically non-demanding and very diverse hike for all happy people out there! 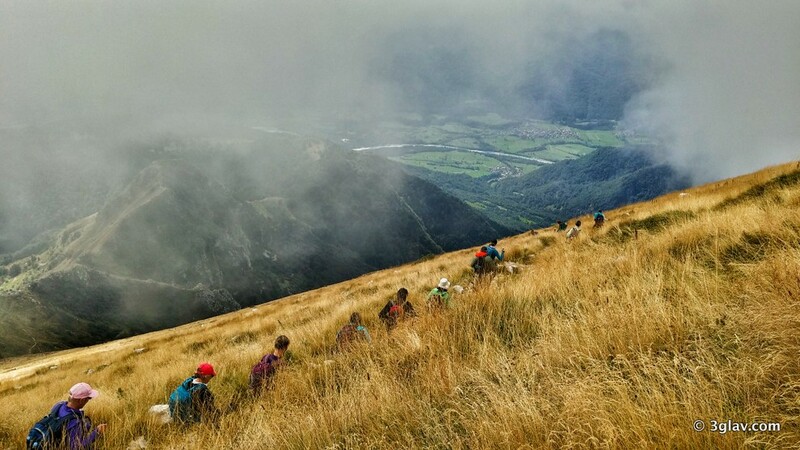 This 3 days hike will take us across lonely summits and grassy slopes towards the highest peaks of Slovenian Alps. After climbing one of the highest Slovenian mountains (Mt. Kanjavec) we will descent to the valley of 7 Triglav lakes, explore its wild marsic terrain and finish our tour at Lake Bohinj. Have a swim in the crystal clear lake and a tasty Slovenian dinner to finish this great trip. Expect to walk 5-6 hours and overcome 1000 altitude meters daily. The tour is 100% adaptable to your wishes but a reasonable fitness level is required for you to fully enjoy the hike. 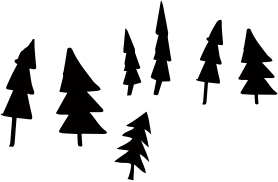 We will sleep in mountain huts or small shepherd’s cottages which offer simple accommodation and typical Slovenian food. Don’t expect a 5-star comfort. Our price includes transport and guiding. Accommodation, food and drinks are not included (approximately 5-10EUR/meal and 20-25EUR/day/person/accommodation). 2 DAYS MT. TRIGLAV MOUNTAINEERING TRIP – Let us take you to the “Big one” – Triglav is our pride, highest Slovenian mountain 2864 meters (9390 ft) which stands majestically in the center of Triglav National Park. This is moderate/challenging mountaineering hike, where you’ll sleep over in a typical Slovenian mountain hut. There is approximately 6-8 hours of hiking each day, so it’s suitable for average/moderately well fit person. 2 days Triglav trips are scheduled for Sun-Mon and Wed-Thur departures in order to avoid weekend crowds and provide more pleasant & safer experience. Helmet, harness and via ferrata set are included. Accommodation, food and drinks are not included (approximately 50EUR/person/day). 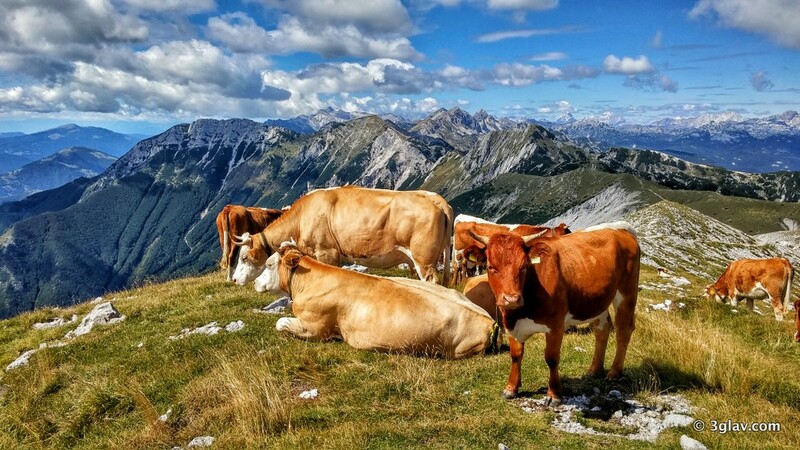 8 DAYS TREKKING TRIP IN SLOVENIAN ALPS – Discover all the beauty Julian Alps got to offer on amazing 8 days long hut to hut trekking trip. You’ll discover stunning parts of Triglav National Park – from Lake Bled, Lake Bohinj to Soča Valley. Trekking experience will end with some fine wine tasting in famous wine region Goriška Brda, also known as Slovenian Tuscany. This is a moderate/challenging trek with 4 days of 4-7 hours hikes, each approximately 8-15 km long. 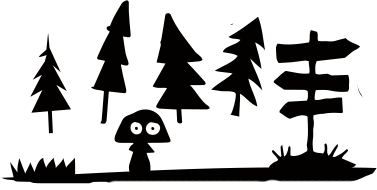 7 B&B nights (2 nights in basic mountain huts), 6 breakfasts, 5 lunches (3 picnics/lunch packs), 2 dinners and wine tasting are included. Extra meals, drinks and possible optional activities en-route are not included. If you are a party of 6 or more, please contact us via e-mail or web form for possible custom dates of hiking, trekking or mountaineering tours. To make your hiking, trekking or mountaineering experience even more memorable bring along your own camera! Exact departure times of 1/2 day hiking, 1/2 day Via Ferrata, 2 days Triglav mountaineering and 3 days hut-to-hut hiking tours are issued one evening before and will be sent to your e-mail address. 8 days trekking tour starts and ends in Ljubljana, capital of Slovenia. Exact meeting location and departure time will be sent to your e-mail address at least 1 week before. Hiking, trekking & mountaineering tours depart at designated time and it’s recommended to be at meeting point no earlier than 5 minutes before departure and no later than exact departure time. A minimum of 4 guests for 1/2 day hiking trip, 1/2 day via ferrata and 3 days hut-to-hut hiking tour is required. A minimum of 2 guests for 2 days Triglav mountaineering tour is required. A minimum of 5 guests for 8 days trekking tour is required. There is a possibility of cancellation after confirmation if there are not enough people to meet the minimum numbers. If activity is cancelled, you will be offered an alternate date or a full refund. Most of our activities operate on daily basis in our high season. Weather conditions are very unpredictable in our mountainous region of Bled, Triglav National Park and Julian Alps, Slovenia. Most of weather forecasts (especially on mobile devices and internet) show low levels of accuracy. All our tours and adventures don’t have any kind of firm or certain routes outlined and itinerary/schedule are made by our local, English speaking, experienced, professional guides who decide spontaneously according to the weather, road, trail and other conditions, type of the group and special events in order to provide safest and most fun experience available for each day. We run all our tours, activities and adventures in Slovenia by Slovenian/EU standards, which might interfere with some other cultural and religious differences/views. Please consider this fact before joining our activities. Lets go have an Adventure! In very short notice 3glav Adventures managed to effectively organize a superb 4 day outing involving canyoning, a hike up Mt Triglav and some paragliding. All the logistics went seamlessly. The guides were professional and friendly with good equipment. The outings were all fantastic; beautiful canyons, great hiking to the highest point of Slovenia and a real bird's eye view of the Julian Alps. 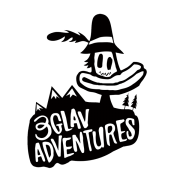 If you are in this lovely country for any length of time I would highly recommend a trip to Bled and to the office of 3glav adventures.